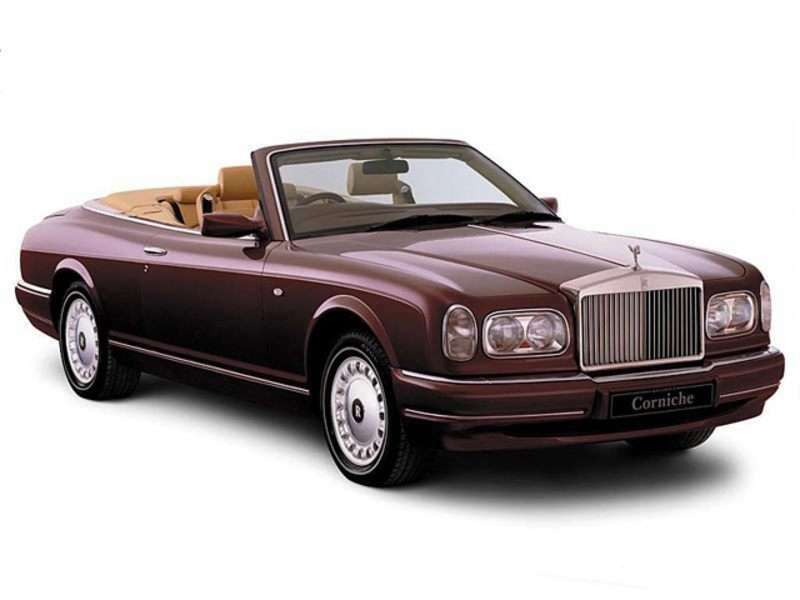 The 2002 Rolls-Royce Corniche is a 2-door, 4-seat Convertible, available in 1 , the Base. Upon introduction, the $363,990 Base is equipped with a standard 6.8L, 8-cylinder, engine that achieves 11-mpg in the city and 16-mpg on the highway. an Automatic transmission is standard. Rolls-Royce is an English auto manufacturer that is fully owned by German auto manufacturer BMW. Rolls-Royce’s history as a luxury and performance automaker is long and complicated. Since 1903, the automaker, which was closely tied to aerospace manufacturing and other engineering initiatives under the Rolls-Royce name, has been split off, spun off, and acquired several times. Rolls-Royce pictures from the early days are available in Autobytel’s gallery. A common theme in any collection of Rolls-Royce photos is The Spirit of Ecstasy, and Autobytel’s pictures are no exception. The Spirit of Ecstasy is the name of the hood ornament seen on Rolls-Royce cars, and it’s one of the strongest visual elements associated with the brand. It’s a silver woman, leaning forward with wing-like cloth billowing behind, and has a history almost as complicated as that of the Rolls-Royce company itself. Early versions were known as The Whisper and The Spirit of Speed, but the version we know today was officially adopted in 1911. The Spirit of Ecstasy quickly became associated with the Rolls-Royce brand, and the hood ornament graced almost every Rolls-Royce car built after the early 1920s (even though it was officially available as an option, and was not considered a standard feature). The trademark rights to The Spirit of Ecstasy were briefly caught in a legal battle between Volkswagen AG and BMW, but it’s since been resolved. Most Rolls-Royce images will have The Spirit of Ecstasy visible in the picture, including current models such as the Phantom coupe and the Ghost sedan.